I usually like just one pop of leopard in an outfit, but I was feeling bold this day and decided to double up on my leopard fun! I’m wearing two of my leopard wardrobe staples, my favorite leopard wool car coat and my calf hair leopard pumps. 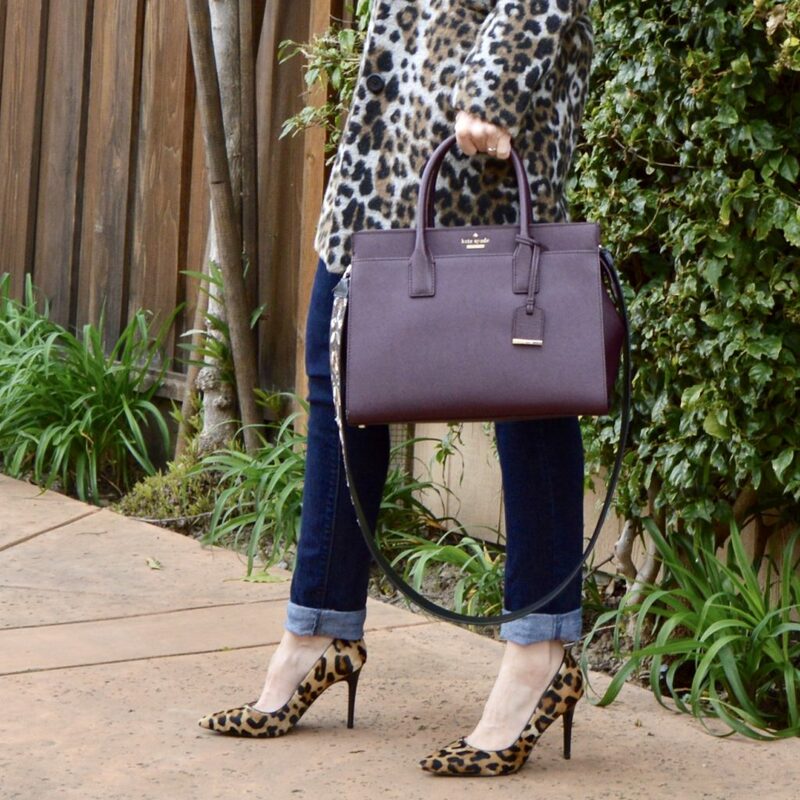 Do you have something leopard in your wardrobe? I don’t say many things are a must-have, but leopard? Come on … right? Must have! I’m also wearing my new Topshop t-shirt, updated for spring 2017 with a cute criss cross detail. I’m lukewarm about the fit though. It’s a bit short on me (but I am 5’7′ and long waisted) and it’s very swingy. If that fit works for you though, it’s a cute tee, soft material, and comes in several colors. Have you taken my reader’s survey yet, Dolls? One lucky participant will get $25 to spend at Nordstrom! And stay tuned for fun spring looks this week! I’s nice to change things up from our normal way of doing things and especially fun when it includes leopard print at least in my world! Always good to shake things up a bit, you’re right! :). Thanks so much for stopping by, Tracey! So so fun! 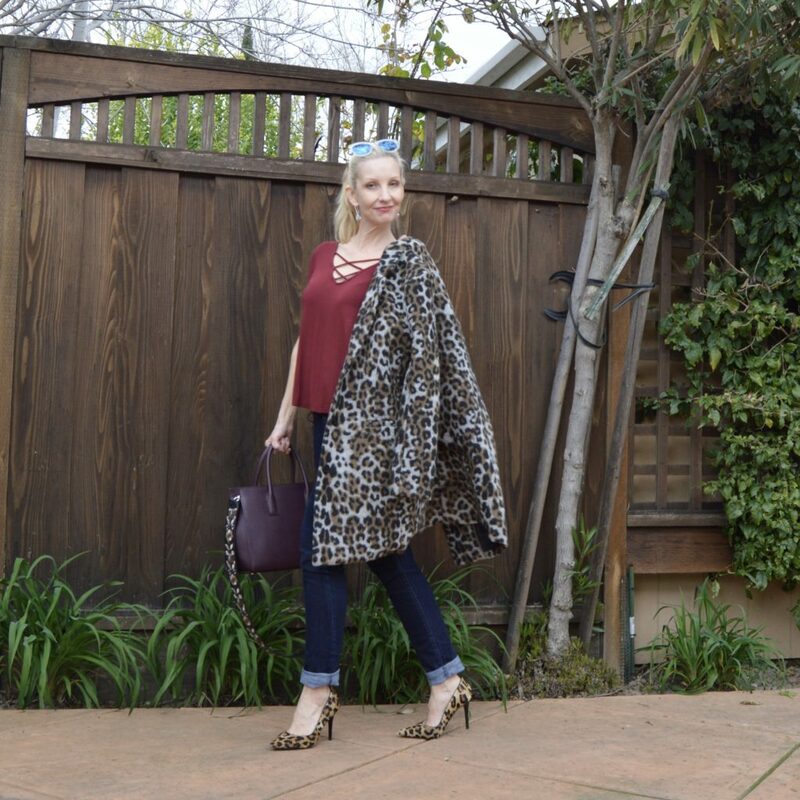 I Love that leopard coat! !